While work is being carried out on a 700-apartment project, work will also start on the building of nearly 500 additional social housing units. This government’s social policy is based on social justice, inclusion and social mobility. Conscious of the fact that social justice needs to be supported by economic growth, the government prioritised the generation of wealth from the outset. It started by first pulling the country out of the EU excessive deficit procedures and then steering Malta towards unprecedented levels of economic growth, that became the envy of countries much bigger and stronger than Malta. Many ask: how did you do it? I will not dwell on economic policies and wealth-generating strategies, but I will say this much – the economic successes achieved were not meant to be an end in themselves but a means to an end that is social justice. This government ensured that the wealth that was being generated was spread out across all the citizens in the country and made sure that the re-distribution made a difference in the lives of all the people. This strategy gave us social cohesion, stability in our employment and industrial sector, optimism for the future, innovation, greater initiative, commitment and hard work. The feel-good factor which was based on real cash in hand and not on imaginary promises motivated people to do more and risk more. This was being done while the investors responded in kind and came in greater numbers to launch projects and dare expand existing ones. This is not political rhetoric but a strategy that drove the fiscal measures and social benefits that were systematically introduced since 2013. The elimination of income tax for those on the minimum wage, the special bonuses to those on low income and other in-work benefits, together with the structured increases in the minimum wage following the agreement between the employers and the trade unions, as well as the tapering of benefit, were all meant to increase the spending power of those on low income. They were the government’s strategic responses to ensure that wealth reaches all strata of society. The government was consistently faithful to its vision that well-being is a shared value and not exclusive to the few. However, conscious of the fact that the circumstances that can place people at risk of poverty may vary from one situation to another, the government was careful to seek out those minority groups that needed particular support to move ahead in life. In particular among these were people with disabilities, who for the first time can now continue to enjoy their disability assistance, even if they hold full-time employment. This was a great motivator for people with disability, who previously did little to no productive work and relied entirely on social assistance. Now they are productive workers and participating fully with others in the development of our communities and the country. I will not take up space to list the many examples of benefits that were specifically designed to target those who really needed them, yet the adoptions grant to parents who seek to adopt children from foreign countries is one very good example worth mentioning. The free childcare service for working parents was perhaps one of the most revolutionary in terms of cause and effect. Notwithstanding the fact that this measure benefitted everyone engaged in productive work, the people who benefitted most from this service were those on a low income. The fact that previously most of their income had to be spent on paying for child care did not make it a worthwhile effort to engage in productive employment. With the introduction of free childcare, these individuals could get into employment, the income of which made a real difference in the family’s spending power. Apart from this, the employment opened the way for additional in-work benefits. Moreover, free childcare gave an opportunity to children to start the socialisation process from an early age. In terms of the future well-being of these children, the measure assumed greater significance. One cannot fail to mention the structured increases in pensions, together with the €300 annual grant given to people aged over 75, which saw the spending power of pensioners increase for the first time after 25 years. Indeed, we are now harvesting the fruits of our collective labour throughout these years. 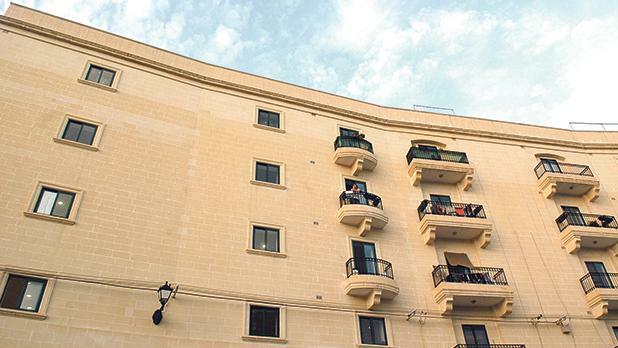 Malta’s 3.7 per cent unemployment rate was among the lowest within EU member states in October 2018. This is three percentage points lower than the EU-28 average, which stood at 6.7 per cent. The female employment rate is also constantly on the increase. Today, we are seeing more women in the labour market than ever before. At the same time, the rate of people at risk of poverty or social exclusion stood at 19.2 per cent, according to 2017 Eurostat statistics, thus reaching the lowest low in the last 10 years. The rate of those living in poverty is four per cent, which is the lowest ever and continuing to decline. This year will not be any different, and the Budget presented last October is evidence of this. For the first time in 11 years, this year we shall see an increase in children’s allowance, which many families will benefit from. This increase will also be of benefit to parents whose children suffer from physical or mental disabilities. Additionally, the tax refund introduced last year will be extended to 2019, while there will be an increase in non-contributory medical assistance for married couples suffering from chronic illness. Moreover, despite the fact that pensioners will benefit from increases in their pensions, incentives encouraging people to continue working beyond retirement age were also extended to the public sector. People with disability will continue to see their standard of living improve through additional increases in assistance payments for those who cannot participate in the labour market. This year will also see bold policy measures in the renting and housing market. The White Paper on Renting as a Housing Alternative has paved the way for more transparency and efficiency. Property owners are being incentivised to offer their property for rent that realistically reflects the rental market, while making it accessible to people on moderate to low incomes. The Equity Sharing scheme for people who have turned 40 years will also make it easier for those who wish to purchase a property. These are only two examples of what is being proposed and we look forward to the implementation of these measures and their effect on the quality of life of the beneficiaries. Nevertheless, the responsibility of social housing shall remain squarely on the shoulders of the State. In this regard, while work is being carried out on a 700-apartment project, work will also start on the building of nearly 500 additional social housing units. The government will also be working on the regeneration of housing estates and dilapidated property. Social justice is about respect, care and inclusion, whereby the dignity of each individual in the community is recognised and upheld. Our social policy agenda will therefore continue to encourage hard work, foster social mobility and ensure that wealth is distributed to all according to their needs. Therefore, we are clearly putting our money where our mouth is; we are right on track in our mission to create a just and equal society where individuals are able to fulfill their potential and realise their dreams without having their choices restricted by their socio-economic conditions. Michael Falzon is Minister for the Family, Children’s Rights and Social Solidarity.